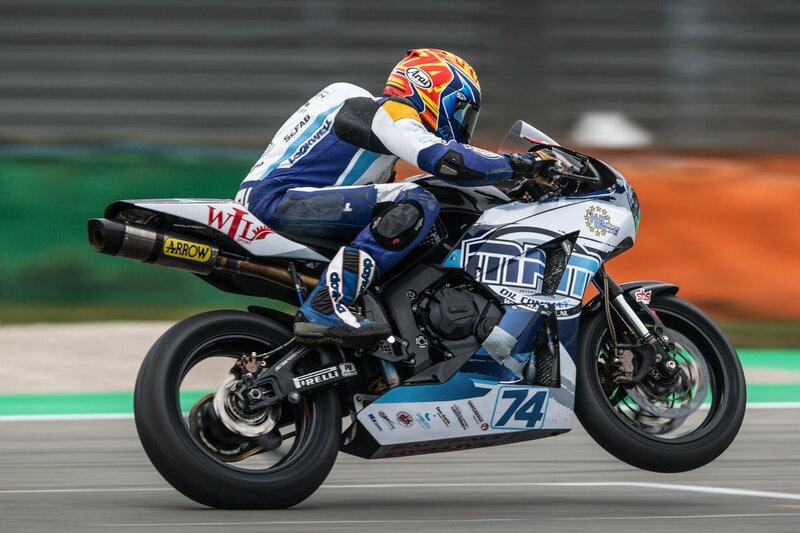 Racedays riders Hannes Soomer and Dino Iozzo were once again in the mix and at the sharp end of #UKWorldSBK, round 6 of the World Superbike Championship held at Donington Park in Leicestershire over the weekend. Hannes finishing well inside the points in World Supersport and Dino Iozzo battling hard to finish 20th in World Supersport 300. The undulating and technical 2.5 mile British circuit is a challenge for riders at the best of time so with a torrential downpour on Friday track time in the dry to find the optimum set-up for race day was limited. 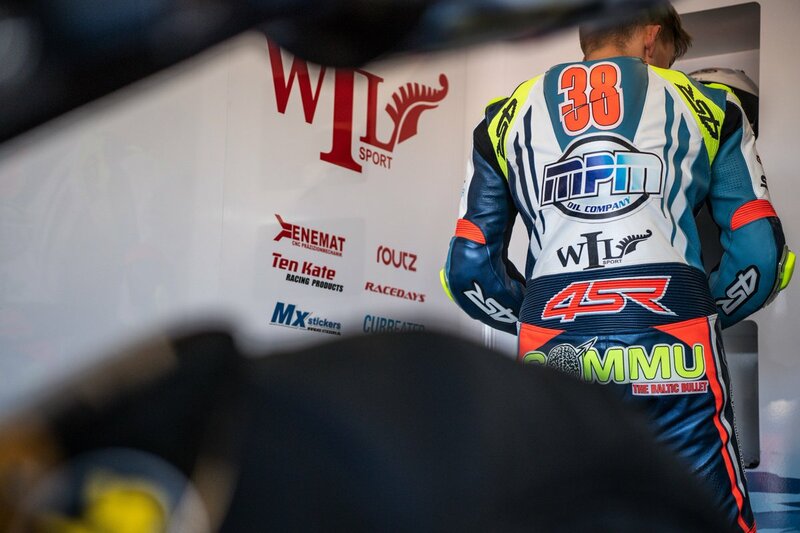 Nevertheless both riders worked hard, progressing throughout the weekend ensuring that Racedays were once again scoring World Championship points. Dino Iozzo also showed the team, and the packed Fan Zone at the Paddock Show on Saturday evening that the young South African can also sing. His live rendition of Ghostbusters accompanied by a live band helped the Two Wheels For Life charity raise almost £8000, and Racedays were delighted to have played a part in this. 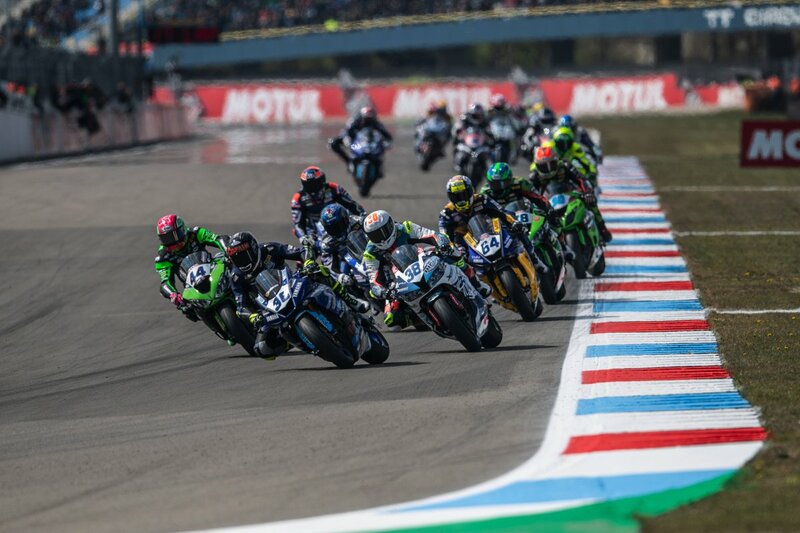 The next round of both World Supersport championships sees the entire WorldSBK return to Brno in the Czech republic which whilst a new circuit for both riders wont stop them for continuing their steps forward to the front.